September - the ideal time to visit Sapa for those who love the majestic beauty of terraced fields in the ripe rice season. Can not wait until September, now a lot of travel planning and set for the journey to discover Sapa in September, in which, our Super Quick Halong & Sapa 4 days are selected by visitors the most during this time. No further discussion, Halong Bay&Sapa are the two most prominent destinations in the destination system in Vietnam. 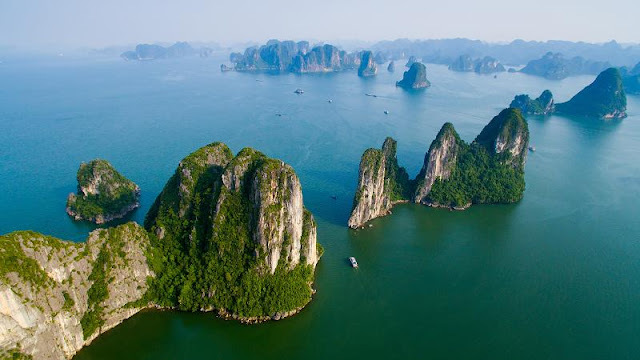 Beside the excursion on Halong Bay, see thousands of huge limestone, join the unique experience on the luxury cruise, you will have more interesting experiences in North West Vietnam. 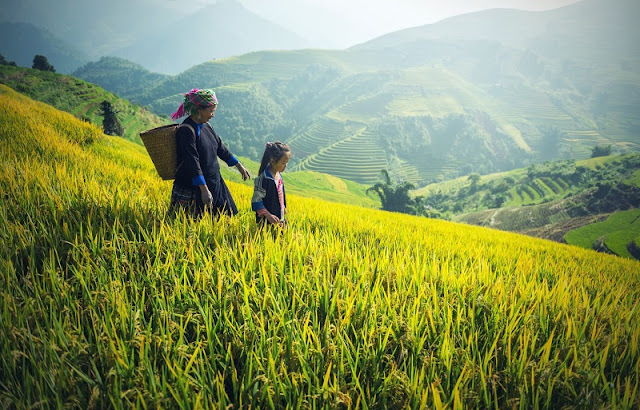 In Sapa, in addition to the familiar trekking activities, you also have access to a diverse culture of ethnic minorities groups here, enjoying the majestic beauty of nature, golden rice fields like honey and majestic mountains. The gift that nature here for you is beyond imagination. Trust me! Small suggestions: the best time to witness the spectacular beauty of Sapa as well as the northern mountain is from September to November or from March to May, when the weather is fairly settled with dry sunny days and clear cold nights. NIGHT 1: Departs from Hanoi for Lao Cai (Sapa). Overnight on train. DAY 1: Arrival in Lao Cai, transferred to Sapa town. Visit Y Linh Ho – Lao Chai – Ta Van – village. DAY 3: Arrive Hanoi at around 5:00am & join a Halong Tour from Hanoi at around 8:00am. Overnight on train. DAY 4: Continue to enjoy Ha Long tour before returning to Hanoi. Arrive Hanoi at about 9:00pm. If you are interested in this Sapa package tour, please contact us by email: vietnamtypicaltours@gmail.com to receive detailed itinerary and all travel assistance in Vietnam.